It was a friend’s birthday and I needed a gift to make quickly. One thing about having a reputation of being a crafter, there is a lot of pressure (that I put on myself) to create a present that is cute, useful and that is handmade while not looking homemade. Catch my drift? 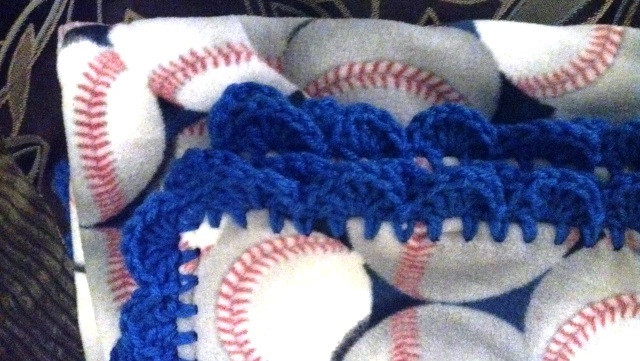 My friend’s older begat and my older begat are on the same baseball team so I thought of making a stadium blanket with the team colors (red, white and blue). 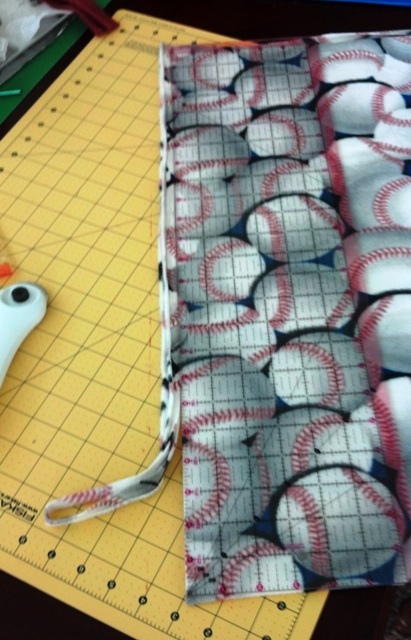 I ran into Walmart and saw this No-sew Microfleece Throw Kit – Baseball. But rather than tie the ends in little knots (this is homemade to me…just sayin’), I decided to attach the two fleece sheets together with a crocheted edge (handmade to me, and by me, too!). The blankets are super soft, not too thick yet very warm. I love that. I don’t love how both pieces were not the same size. I especially don’t love how “they” (“they” are probably poor sweatshop kids in China. Now I feel bad.) left shredded selvages. Assuming that this product is sold for the purpose of no-sew-cut-the-fringes-for-ages-5+, it would be natural to think the fabric would be ready to go right out of the box. Not the case. I had to trim about an inch on all sides on both fabrics. And because they weren’t the same size to begin with (of course, I didn’t check that until after I trimmed up the both pieces of fabric), I had to trim them again to make sure it was square. 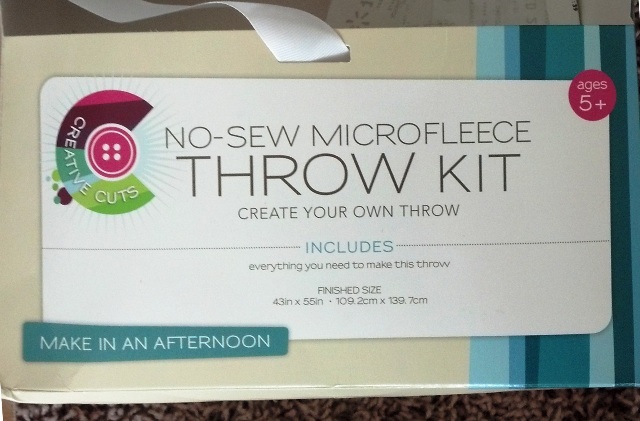 The box says that the blanket is for ages 5+, could be made in an afternoon, and it includes “everything you need to make this throw”. Let’s take these statements into consideration. A 5-year-old will need some help, even ones with really strong motor skills. I’d be interested in seeing what a 5-year-od would do to this blanket if left to their own devices. Start at noon because you’ll need time to trim the yucky edges on both pieces, and then match them up to trim again so that both pieces are the same size. Finally, the kit didn’t come with scissors or a ruler. So, it contains most of what is needed to complete the project. Seriously, not being obtuse about the whole thing; everything, to me, means all things. Anyway, those are just minor annoyances and first world problems to this little project. 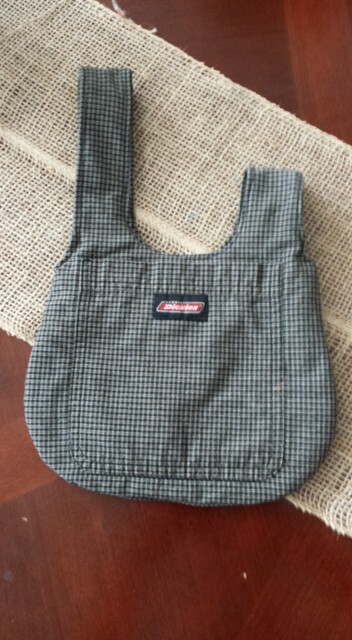 Overall, I liked the fabric, its feel and the pattern on it. I am not affiliated with the company that sells or manufactures this item. I paid for this product with the intent to make a gift. 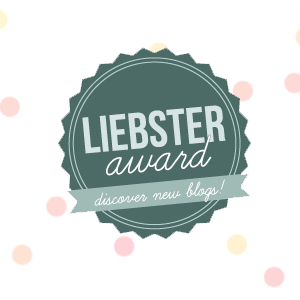 I had thoughts about the product that I thought would be useful to future consumers. Ok, there. On to the fun part! Let’s edge this blanket! 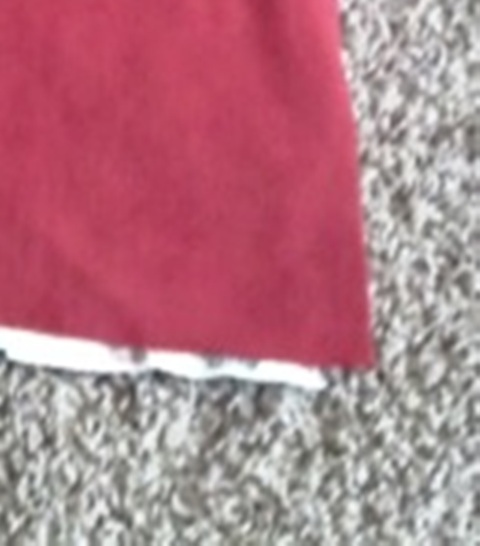 Two pieces of coordinating polar fleece. You could buy a kit like I did or buy it off the bolt. Have it cut to your desired dimensions. 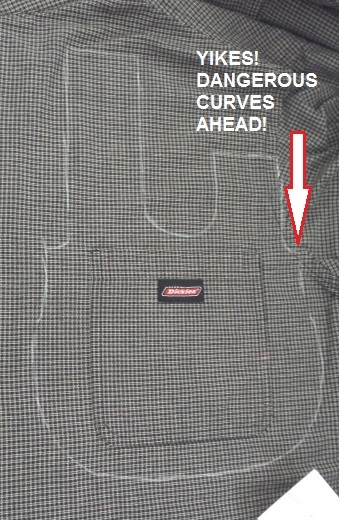 Since there’s no sewing, you don’t need to worry about seam allowances. In fact, you’ll be adding a couple of inches on each side because of the crocheted embellishment. 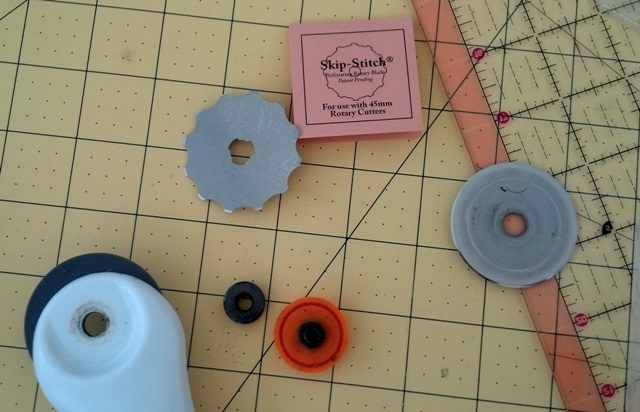 If you have perfectly square fabrics, this part can be eliminated. 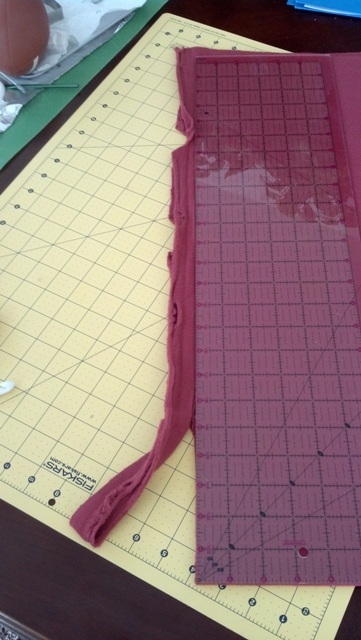 If not, line up the fabrics, trim selvages and ensure both pieces are the same size. I like to use a rotary cutter for this part of the project. Safety pin about 2-3 inches apart the entire perimeter close to the edges of the fabric. 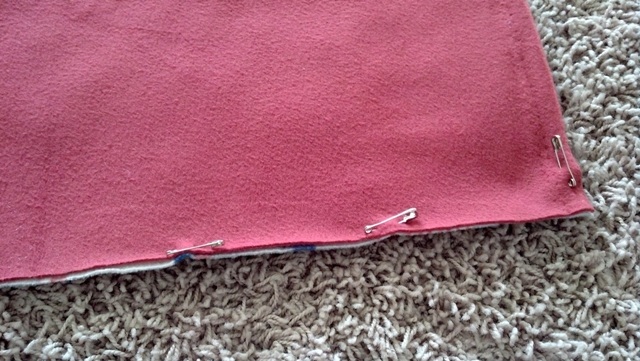 This serves to hold the fabrics in place because it will be scored (punctured) at the same time. Once safety pinned, place a ruler 1/2 an inch from the edge and score all the way around using a skip stitch blade and rotary handle. Choose a spot (not the corner) on the blanket in which to start stitching. Corners take a little fenagling so you’ll want a spot that will have a clean start and clean finish. 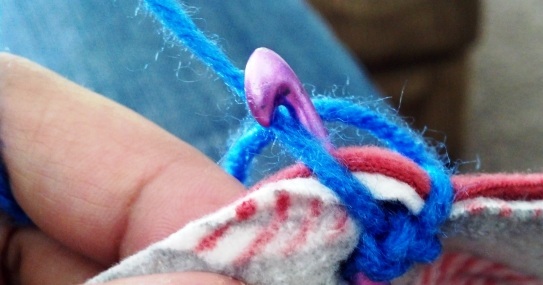 Make a slip stitch with the yarn. 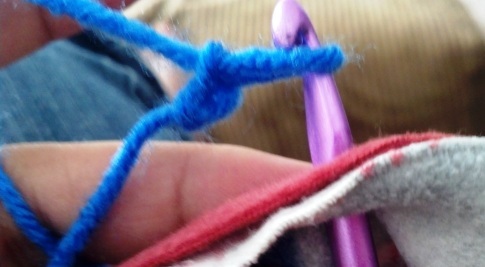 Holding the fabric in front, insert the crochet hook into one of the perforations through both pieces of fabric from the front, grabbing the yarn, and pulling the loop through. Single crochet folding the fabric toward the back. Single chain. Repeat SC, ch 1, until you reach a corner. When you reach a corner, SC, ch 1 three times into the same hole in the corner, rolling the fabric towards the back as you go. Repeat this process for all other corners. 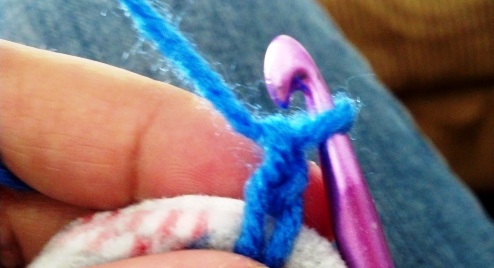 Once you reach your starting point, SC into the last hole, ch 1, then slip stitch to the first SC made. In the next ch 1 space, 6 double crochet. *Skip next sc and ch 1 space, slip stich on top of next sc. 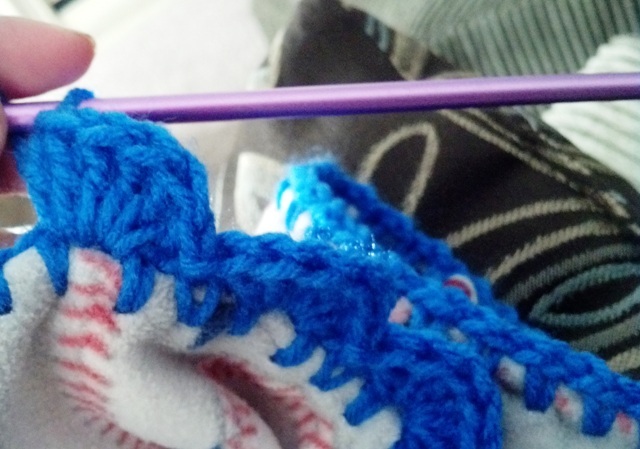 Skip next ch 1 space and sc, insert hook in next ch 1 space, make 6 double crochets in this same space. * Repeat from * to * until you come to the last couple of stitches to a corner. 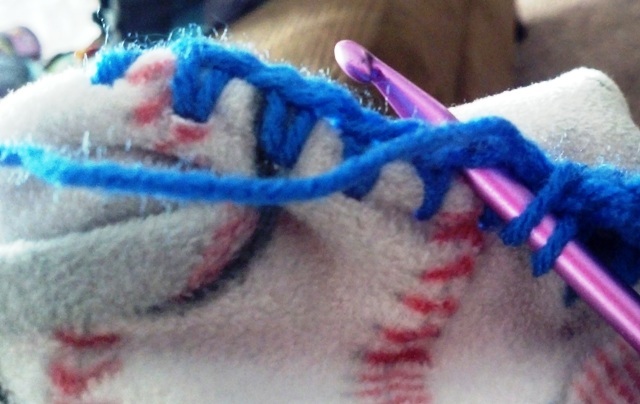 You may have to adjust some of your spacing to end your slip stitch into the corner. Repeat on all four sides until you get toward your beginning scallop. 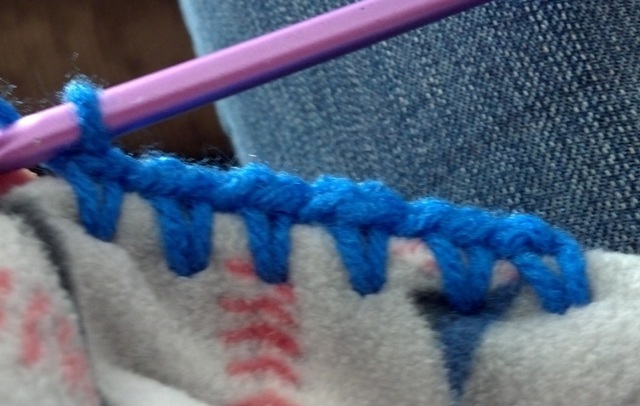 Slip stitch into the first slip stich from the beginning and cut yarn. 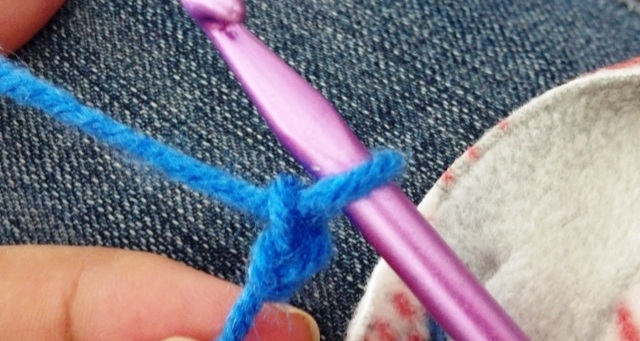 Knot the yarn tightly and weave in ends. There you have it! Play ball! 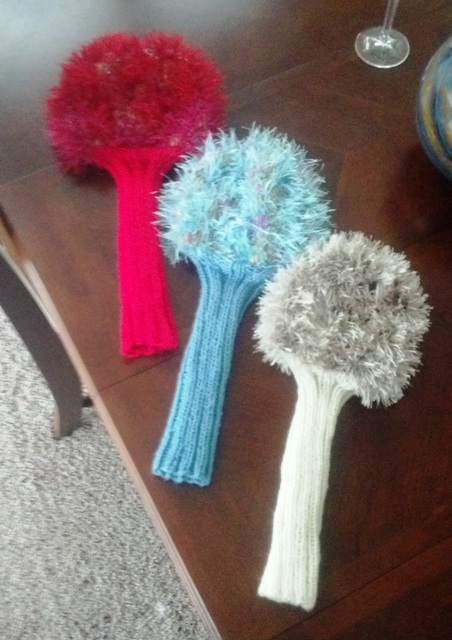 This entry was posted in Crochet and tagged crochet, edge, fleece, product review, skip stitch. Bookmark the permalink. ← More salt dough earrings! This has turned out fantastic in the end, I’m sure it was worth all of the headache that it brought! I think the concept of the kit is great it’s just a shame it has flaws. Thanks! And I agree, kits can conceptually make a craft easier and fun to do especially if you want to make it with a child or someone new to crafting. However, if I were new to crafting and had bought this kit specifically for which the craft was intended, I would have been disappointed and frustrated. Love this idea. I have a fleece blanket to make and wasn’t all that excited about tieing the fringe. Plus any project that involves yarn has to be a good one! Hahaha! I just realized I commented on your post about what to do with about 100 yards of yarn…I didn’t think to edge a fleece blanket! So there’s another idea!